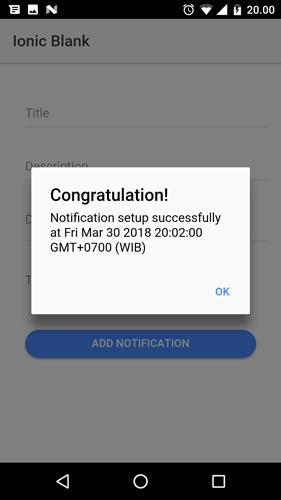 A comprehensive step by step tutorial on how to create Local Notification using Ionic 3, Angular 5 and Cordova with Native Local Notification Plugin. 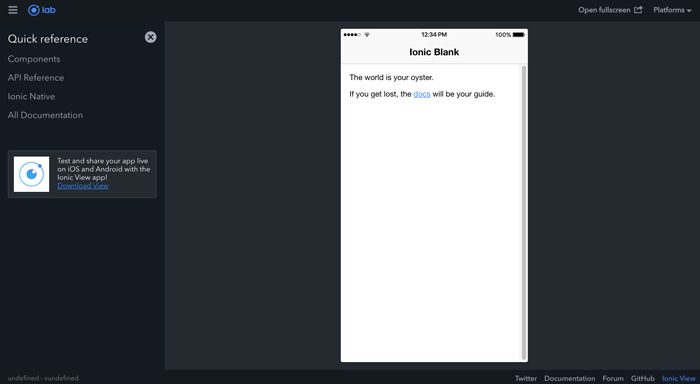 The story for this tutorial is just creating multiple notifications that input by the user inside the app. 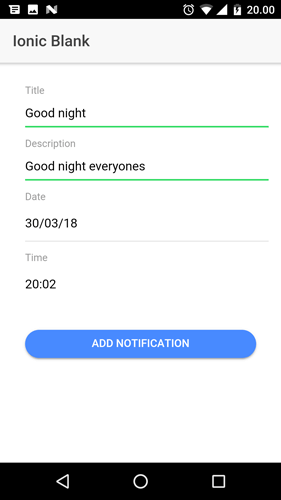 So, inside the app just a form for input the notification description and time. The rest of notification function will be handled by the system. This tutorial compatible with the other tutorial about Calendar UI. That command will open the default browser and display this page. To install Ionic 3 Cordova Native Local Notification Plugin, type this command in the terminal or command line after you stop the running Ionic 3 app by press CTRl+C keys. That commands will also install or adds Cordova Android and iOS platforms. Next, we will add this plugin manually to `src/app/app.module.ts`. Open and edit `src/app/app.module.ts` the file then add this line to import section. Add `LocalNotifications` to `@NgModule` providers, so it will look like this. Now, the plugin is ready to use with Ionic 3, Angular 5 and Cordova app. 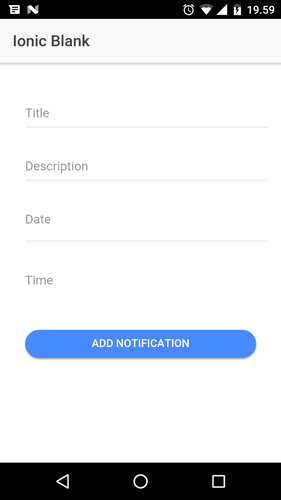 To create local notification scheduler, we need to create a form first. Open and edit `src/pages/home/home.html` then replace all HTML tags with this. Next, open and edit `src/pages/home/home.ts` then add or replace this imports. Create an object variable as the Angular model before the constructor. Inject required modules to the constructor. Next, create a function/method after the constructor for setting a Local Notification scheduler. Finally, create a function for setting the sound file for the specific platform. We will run this app on the real device. 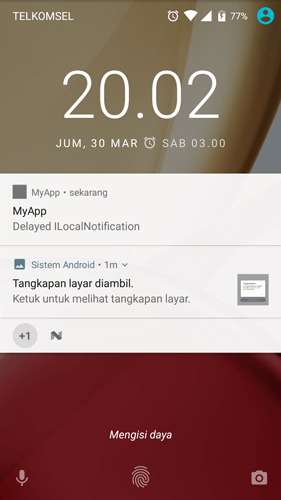 For Android, first, remove the default created platform and change Cordova-Android version to the earlier version. We use Cordova-Android 6.3.0 because there's a lot workaround for the latest version (7.0.0). Next, run the app to the Android device by type this command. You will see this page on the Android device. And here the notification looks like while the device in sleep mode. That it's, we still have the problem using iOS for this tutorial, so we skip that for now. For full source code, you can find on our GitHub.